Cognitive behavioral therapy (CBT) is great for people struggling with unhelpful thought patterns but even more so it can help you to take control of your feelings towards tinnitus. It was initially designed for people dealing with pain, depression, anxiety, and other mental disorders. Instead of experiencing it as something that is hurting you or will bring you to ruin, you can see it as a part of you. Somedays may be harder than others but all in all, you can conquer this. 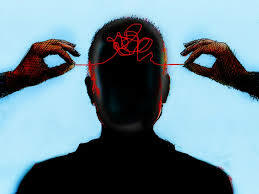 CBT helps for you to retrain the way you think and experience feelings instead of making you a victim. The goal of CBT is to make you the victor. It takes time and practice to incorporate CBT into your life without thinking about it, but until then you’ll probably have to remind yourself. A sign that you need to practice CBT is if you start to worry and fret about the future of your hearing abilities or various other worries. Instead of a worrying, focus on better other parts of your life and this too will fall into place. CBT has been proven to improve mental health and self-confidence. There is still a lot of research being done on it but from what we know so far, this is a very helpful form of therapy. It benefits anyone that wishes to partake in it. All in all, CBT is all about taking power over how you feel and how you handle feelings. If you have a very negative outlook on life, that shapes everything in your life after that point. 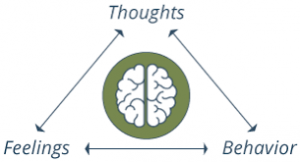 CBT helps you to take a step back and look at your thoughts and gauge whether they are valid or appropriate. A lot of time we react to things based on negative perceptions that we have attached to said thing. It is always best to step back and look at the good and bad of every situation and learn how to make your experience more positive. CBT does not influence the tinnitus itself, but it helps you to react better to it. Instead of freaking out, you can learn to embrace the discomfort with a calm and nonjudgmental mind. It will take time, but it can be accomplished. It is best to clear your mind and take deep breathes when you feel a strong onslaught of emotions. It can be very daunting when the ringing increases or you if you have pulsatile tinnitus it can be very frightening but practicing CBT will help you to think logically in the middle of your pain and discomfort. Instead of feeling distraught you can turn the feeling into gratefulness. Make peace with where you are in life and you can also focus on all the good that is taking place in your present reality. CBT helps you to embrace your reality and accept that pain and discomfort are a part of life and that’s okay. CBT is an excellent choice for those who fall into a mindset of doom and gloom when their tinnitus gets louder. Just know that you are okay, and things will improve if your mindset improves. Contact us today at 646-213-2321 to schedule an appointment to treat your tinnitus. We can help you on your way to improving your life and mindset.